You just got back from your company event and you’re pumped!! Everyone’s excited, motivated and ready to go to work. But what’s the best way to take advantage of it? 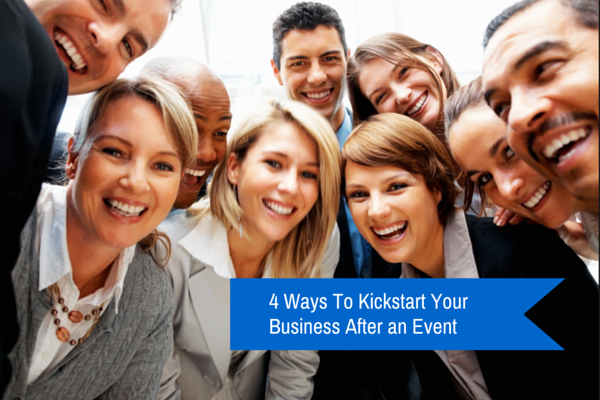 Here are 4 ways to kickstart your home business after a company event. If you’ve been in your business for any length of time, you probably have several lists of contacts here and there scattered around your desk, or on an electronic file. Don’t throw those out, but see what your mind can come up with on it’s own by taking out a new notebook. Get in a quiet place and open up your mind, your cell phone, your Facebook contacts, etc….just like you were brand new and see how many fresh names you can list. You may even think of people you already had on the list, but now you have a different perspective. I explore other ways to add to your list in this post here. Up to this point, what are your numbers? How many people have you connected with? this could be over phone, Facebook message, text. How many people did you actually talk to and invite to take a look at your business? How many actually viewed your presentation? Live, face to face, or video? How many of those did you have a 3 way call or validation of some kind? this could be a 3 way call with an “expert”, or a magazine that your company is featured in, or a live meeting where they can see other people having success with your business. All of these provide “social proof” that your business could work for them and it’s EXTREMELY important to do this step. 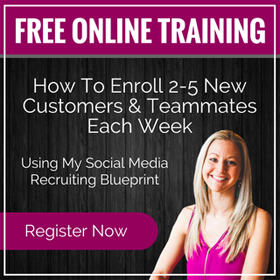 How many people did you recruit? With these numbers, you can see what you need to work on to improve. If you’re not in action, you can’t see any of this and you really don’t have a business without it. You probably have people that you previously showed your business to that were a “maybe” or even a solid no, but you want to call them back because they would be a great asset to your team. Maybe they know a lot of people or they’re already successful. When they do, ask “who do you know in ____?” Very important: Let them answer THEN tell them why you’re asking. This way, you have a greater chance of them not prejudging who they might refer to you based on their perception of your business and whether they think it might work for their referral. This approach also let’s them know you are still working your business and even though they aren’t joining you, your team is growing. Don’t ever let them talk to their referral, YOU need to be the one making that initial call. It’s best when they make an introduction call, telling them that you’ll be calling, but not giving any details. Why? Because they are not sold on your company and can’t convey the posture you can. “I need you to get them on the phone real quick for a warm introduction so I’m not cold calling them and they’ll answer my call. Also, I need to chat with them myself to see if they are a good fit for my team”. This is an interview type question that puts you in a completely different posture than the amateur home business owner who is usually hypey and salesy. Think about it…you really DO want to talk to this person because you’ll potentially be building a long-term business relationship and you need to know if you’re compatible, if they have the skills and qualities of the kind of person you’re looking to work with. You need people in your business, just not any ONE person. You need the right people, the serious ones, correct? If they won’t agree to do this, just thank them for their time and get off the phone. And don’t give them a link or any information anyway hoping they will do it right because they won’t 🙂 trust me. What you’re doing here is managing the energy. If they pull back, YOU pull back. You want to be “pulley” not pushy. A good takeaway has recruited many a prospect! People want what they can’t have. These are really great and you can be very strategic. I really like this one because you pitch it past them, which is a posture that you don’t need just them, and you’re moving along in spite of them. This shows them that even really “busy” people in their profession are doing your business, when they may have previously thought they didn’t have time. They might be thinking, if they can do it, maybe I can too. If they are ANY bit competitive or entrepreneurial minded, they’ll call you back. Another element of this is your credibility and rapport with this prospect. If they know you, trust you and like you AND they’re ready to build a business, they’ll be calling. If you haven’t built that trust, you’ll know because they may not call you back. Here’s a great article on prospecting with more posture to get better results. Events are powerful and can be a huge money maker for your business, IF you go and take action once you leave. So go register for that next event with the intention of exploding your business coming out of it! 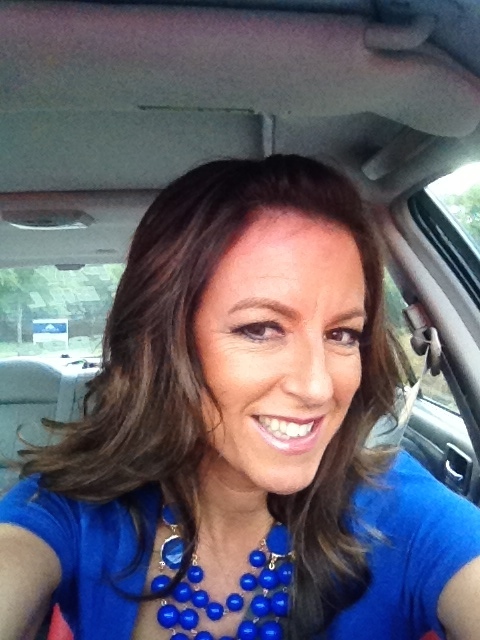 Did you get some value from this article and the Periscope video? Let me know by leaving a comment below. Do you know someone who just went to a company event and they need to know how to kickstart their business? Go Kickstart your business now! P.S. 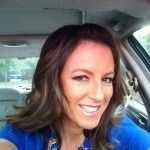 : Do you want to REALLY kickstart your business for the next 100 days? Check out the results others have gotten from this course….